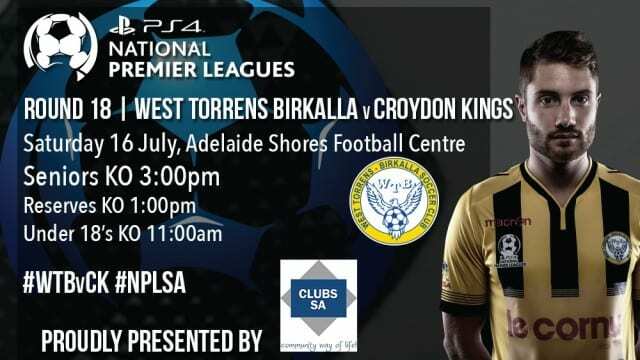 West Torrens Birkalla retained third spot as it cruised to a 3-1 success over Croydon in Round 18 of the PlayStation 4 National Premier League South Australia at Adelaide Shores Football Centre on Saturday. Fumiya Suzuki gave Birkalla an early lead, which was followed up by a goal in each half from Taro Kawamura. Dominic Matricciani scored a late consolation for the Kings, who remain in the relegation zone. Birkalla coach Steve De Giovanniello praised an all-round team performance keeping his side four points clear in third. “It was a good performance from the guys. We were good all over the field,” he said. “Playing at the Shores is a big plus for us. The surface suits our style and the players we have. Knowing we are playing there gives us a lift. “Croydon are still a good team and there were times when they were on top. They were good in midfield, but just lacked a cutting edge. I don’t think they deserve to go down. Birkalla doubled their lead in the 37th minute. A short corner was headed into the path of the onrushing Kawamura by Tom Dittmar and the Japanese striker finished coolly. Scott Nagel galloped down the left three minutes into the second half and cut the ball back for Kawamura, who side-footed it past Munro to make the game safe. Rocco Visconte’s error gave Suzuki an opening, but he was denied by a good Munro save. Visconte found space outside the Birkalla penalty area inside the final 10 minutes, but Torresan denied Croydon the chance to get on the scoresheet. Yet the Kings would pull one back in the 82nd minute. Alexander Metanomski’s loose pass was pounced upon and Matricciani clipped the ball over the onrushing Torresan. There was still time for substitute Paul Radice to force a save from Munro, with Kawamura lifting the rebound over the top from close range to miss out on his hat-trick.